The weather has been very nice in the mornings with temperatures reaching into the 70s in the afternoon. Water Temperature: 58 degrees, depending on depth. Water Clarity: Visibility seems to vary between 10-15 feet. Anglers are reporting two to three trout per visit up and down the shoreline! We’re also getting a few reports of catfish still being caught near the boat launch! On October 28th, Mark T. of Fremont was fishing for two hours down by the boat launch and he caught three trout on Powerbait. 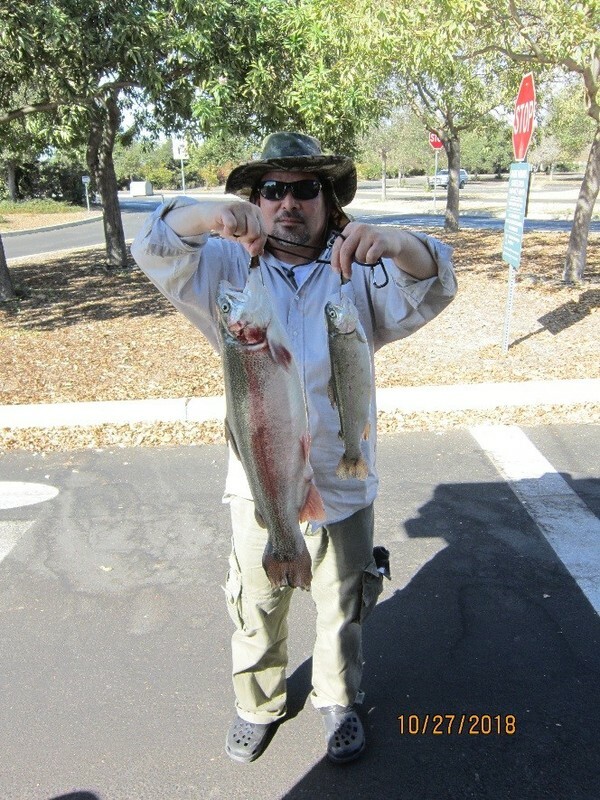 Joe S. of Hayward caught three trout on green Powerbait fishing off the first dock.